Son Yambu play authentic ‘Son Cubano’ or Cuban son – the essential Afro-Cuban music that originated in the streets of eastern Cuba at the turn of the last century. Son is a fusion of Spanish and African rhythms and is the root of all salsa music. 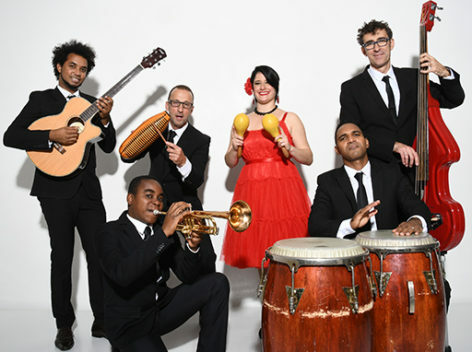 Formed in 2011, Son Yambu feature a new generation of (mainly) Cuban musicians who are all passionate about maintaining the traditions of the genre, continuing the Buena Vista legacy that put Cuban music back on the map in 1997. Son Yambu have recently released their debut CD – ‘La Maravilla’. This performance is part of the St Ives September Festival, and we’re really excited that the band have offered a 45 minute introduction to salsa before the show. If you’re interested, you can find more information about the workshop here and if you want to take part, book tickets here.